Eight years ago Kenyan accountant Wachira Kariuki quit his career to basically buy and sell milk. But he became frustrated with being a “middle man” so in 2009 took a loan, leased an old facility and started processing milk. Kariuki was later able to secure financing to outright buy the facility, located 50km from the capital Nairobi. 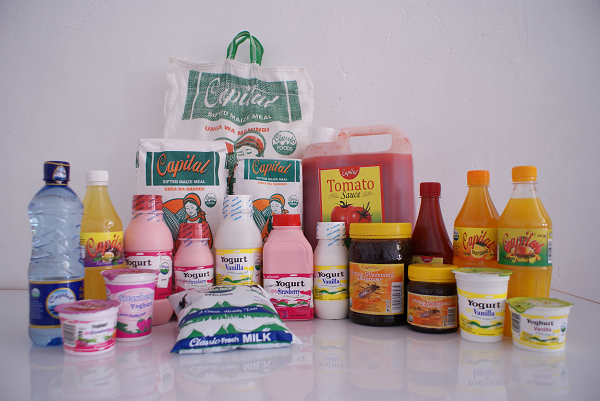 Today Kariuki’s company, Classic Foods, is involved in processing a wide range of products, including pasteurised milk, yogurt, maize flour, honey, tomato sauce, juices and animal feeds. Over the next decade, he hopes to build a US$100m business. And the only things that could stop his ambition are laziness and lack of focus, says the Classic Foods CEO. Starting the business was a big risk for Kariuki and his wife Stella Kimemia, who is the managing director. They put up their family home as collateral for credit. “Of course you can’t sleep when you do that. We were so determined not to fail. When you know that you will lose your house if you don’t repay a debt, it makes you responsible. We had to prioritise [paying back] that debt,” says Kariuki. The couple have thrived by combining their strengths. Kariuki focuses on strategic decisions and engineering, while Stella handles daily operations. Although traditionally dominated by multinationals, a growing number of smaller, home-grown manufacturers like Classic Foods are breaking into Africa’s lucrative food processing industry. According to a World Bank report, Africa’s farmers and agribusinesses could create a trillion-dollar food market by 2030 if challenges in the industry are solved. In fact some of these challenges motivated Kariuki to venture into the food business. He grew up in central Kenya and his family sold produce such as milk. “We would milk the cows at 3am only to get to the dairy and find out that they won’t buy that day because there is a glut. Sometimes we’d be told to take the milk back home, yet that was an income the family needed. It occurred to me there was a need to liberate the milk industry. So the dream was installed by that pain of having to look for alternative markets to sell our milk,” says Kariuki. Classic Foods products are available across Kenya from supermarkets to remote mom and pop stores. The firm has expanded organically in its pursuit to solve challenges in the food supply chain. For example, it started milling animal feeds for sale to farmers from which it buys milk. This helped Classic Foods ensure a steady supply of high-quality milk. But then maize is a raw material in processing animal feeds, so it began milling maize flour for human consumption. When it encountered shortages in maize supply, it started a non-profit arm called Enhance Business Solutions. It has already trained over 20,000 farmers in the cultivation of various crops, including fruits which are used by Classic Foods to make juices. And it plans to train 100,000 more over the next five years to ensure constant supply of the raw materials needed for its expansion. These days the challenges the business faces include financing, keeping up with changing legislation on food safety, and fighting counterfeits. But Kariuki is undeterred by the rising competition in the food industry.